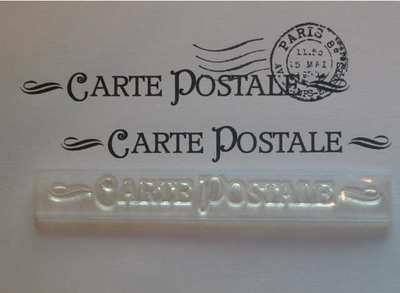 'Carte Postale' word stamp with decoration both sides. 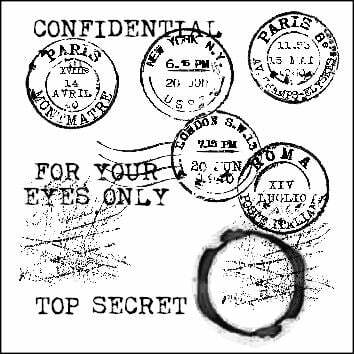 Shown with the Paris postmark and wavy lines stamps. Great used with a personalised postmark stamp for mocking up your own post cards, useful for altered art projects, making background papers and ATCs. Stamped area: 10cm x 1.2cm.